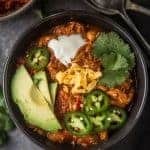 Chicken Chili made with leftover grilled or smoked chicken is super easy, jam packed with flavor, and isn’t too rich to weigh you down. 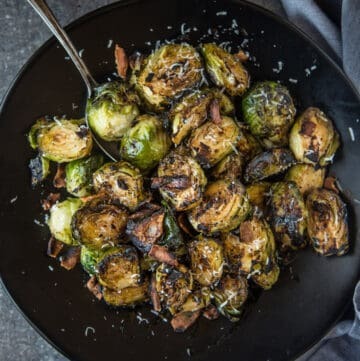 This recipe is great with any shredded chicken, really, but I love the subtle smoky flavor that the smoked or grilled chicken provides. 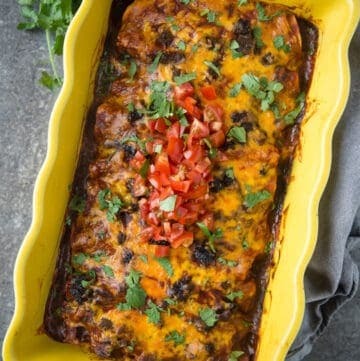 Great for game day or a weeknight family meal. It’s also gluten free and dairy free (if you use dairy free shredded cheese and leave out sour cream)! Chicken is probably the protein we cook the most around here. Even if we’re smoking a brisket on a Sunday, we throw in a whole chicken to use the meat throughout the week (and also make stock from the carcass!). It’s super versatile, and bonus, our kids love it! 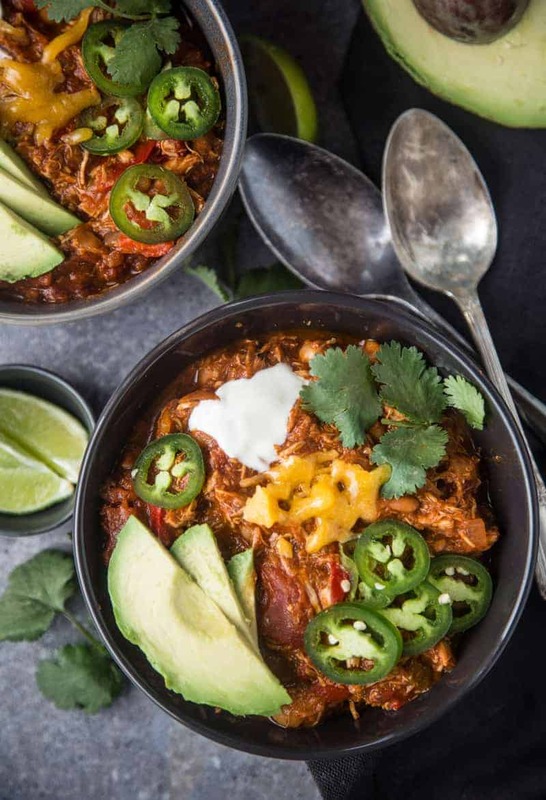 This chicken chili is inspired by our brisket chili, but intended to be a bit easier, and also lighter (brisket is rich!). It’s a great weeknight meal for any leftover chicken you may have (smoked or otherwise). Though we’ve been known to smoke a whole roaster chicken just to use the meat strictly for this chili. Got friends coming over for a big game? 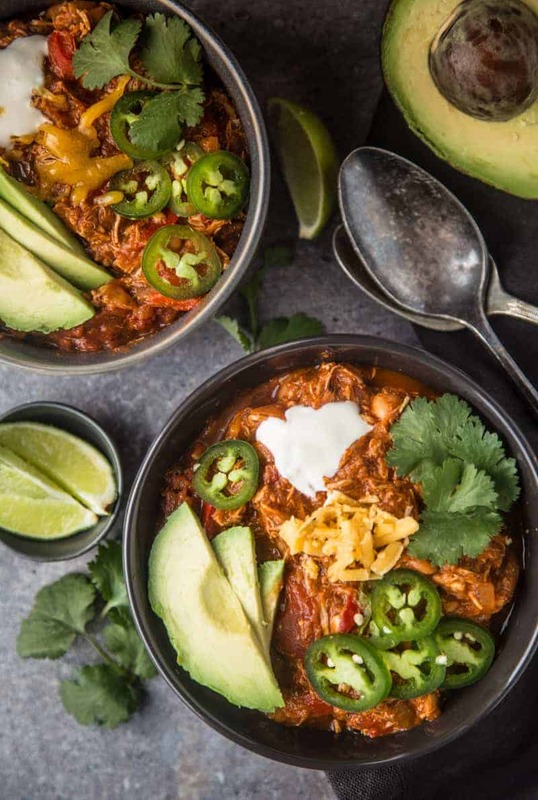 Throw on a pot of this chicken chili! In this case we just love the added flavor and body the red sauce provides. In this case we’re using leftover smoked chicken, but any shredded chicken will do, smoked or otherwise (chicken breasts, thighs, you name it). Layer with onions, garlic, red bell pepper, green chili, some sauce and spices, and you’ve got yourself a winning chili. First smoke the chicken, for reference, here is a smoked whole chicken recipe to start with. 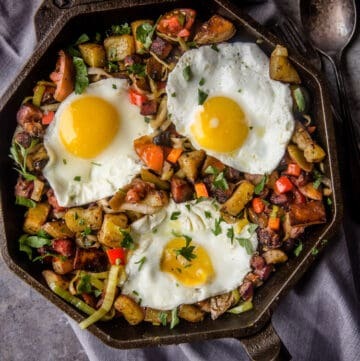 If you don’t feel like smoking a chicken, use whatever chicken you have around (we use 3 cups of shredded meat in this recipe). Next, for the chili start by softening some onions and red bell pepper, toss in some garlic, and then add your liquids, spices, and shredded chicken, and let them simmer for 30 mins to one hour. If you want a richer chili then feel free to cook longer. 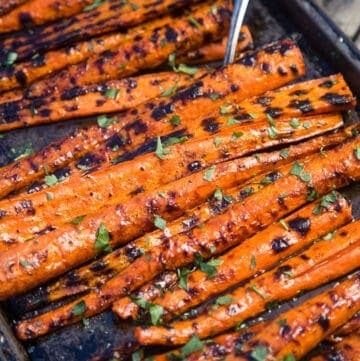 But we’re usually cooking this on a busy weeknight and cut it off around the 30-45 min mark. But the longer you cook it the richer the flavors will be. 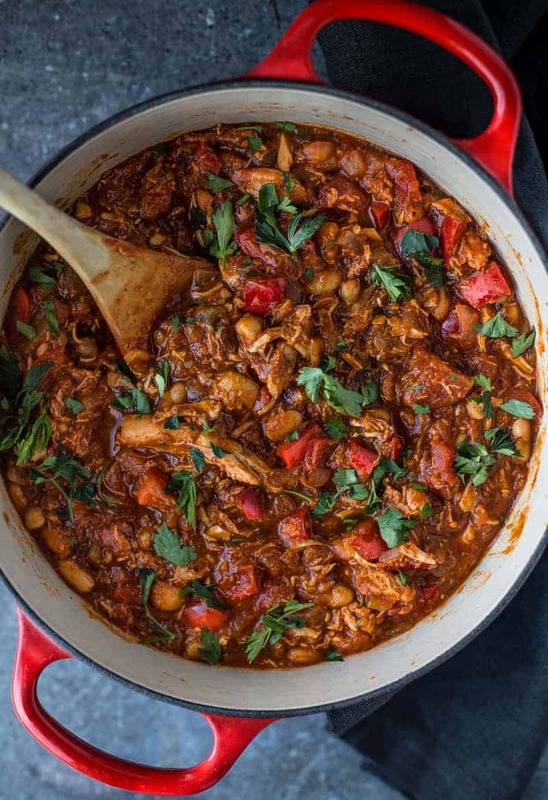 Like our concept of what is chili…what you put into chicken chili is up to you. Want beans? Add them. Want some sweet to balance any heat? Corn is a great natural addition to sweeten the pot. Like spice? Fresh serrano, poblano, or jalapeño are all great to supplement dried chili powder. You can also add some chipotle peppers in adobo sauce (one of my personal favs). Want a more liquidy version, add some beer, wine, or chicken stock. Add what you like. We garnish with fresh cilantro. Our go to is shredded cheese, sour cream, and some thinly sliced jalapeños. You can do freshly diced white onions, green onions, chives, or even bacon! 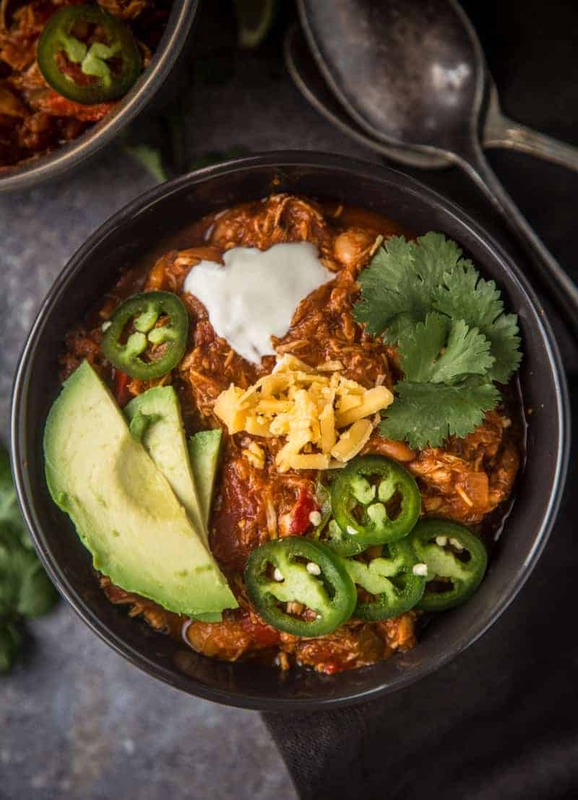 Chicken Chili recipe made with leftover grilled or smoked chicken is super easy, jam packed with flavor, and isn't too rich to weigh you down. In a large sauce pan or dutch oven over medium heat, add olive oil and white onions. Soften for 4 minutes. Add red pepper and jalapeño, continue to soften for additional 4 minutes. Add garlic and saute for 1 more minute. Add chili powder and stir for 1 minute to toast slightly. 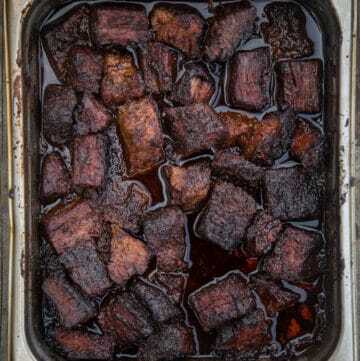 Reduce heat if the saute is browning. Add all remaining ingredients and stir. Simmer for 30 minutes covered, with cover slightly open to release some steam. Stir occasionally to avoid browning the sauce. For a richer sauce simmer for 60 minutes total. 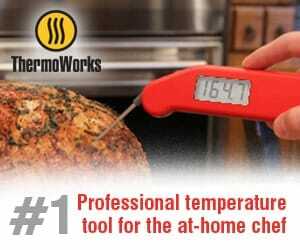 When you see desired thickness (can be up to an hour), remove from heat, stir, and serve warm. Serve with your favorite toppings and enjoy. 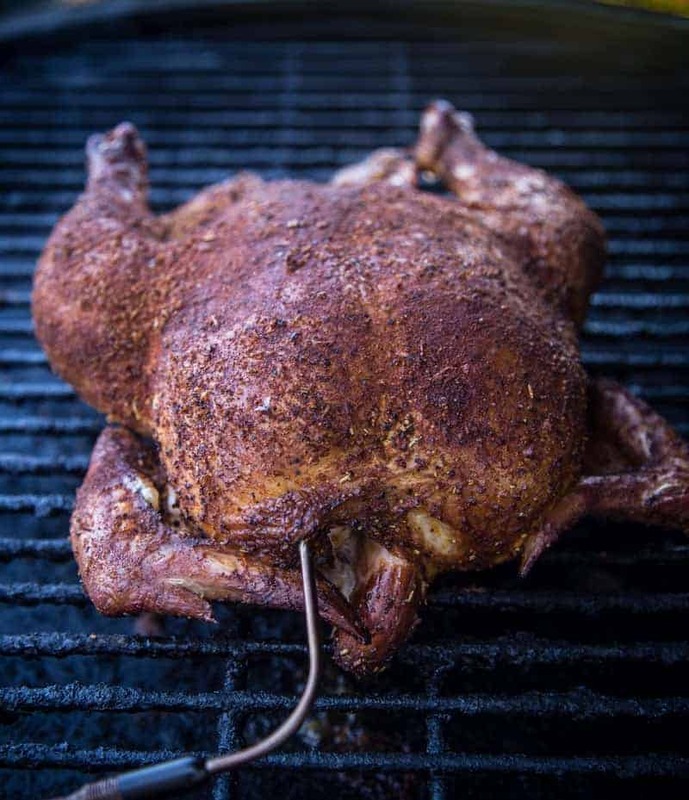 Recipe for smoked whole chicken can be found here. Otherwise feel free to use any shredded chicken (no skin). For more heat consider some chipotle in adobo. For additional richness, add more tomato paste or chili powder. Want more liquid, don't simmer as long or add more tomato sauce. This is a fairly mild chili, not overpowered by too much spice or intensity. Something fruity with some richness, yet balanced acidity work well. Rioja (or other Tempranillo) is a fun one, as is Syrah. 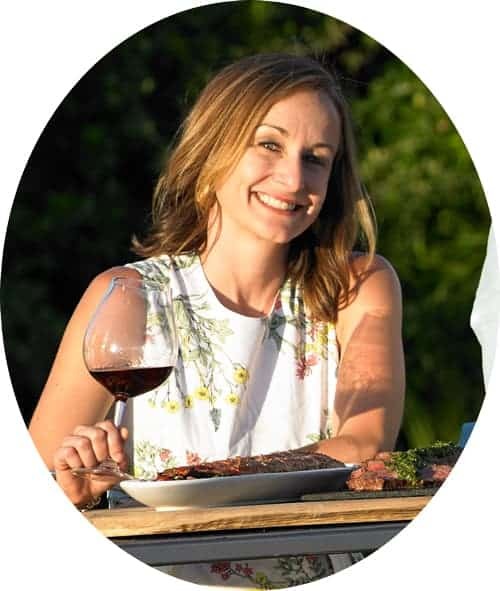 If you start to load it up the chili with some richness or more heat, and need something to refresh the palate, a Beaujolais is a nice option for red (fruity, juicy, and refreshing). You can also opt for a bold style rosé for something bright and refreshing.